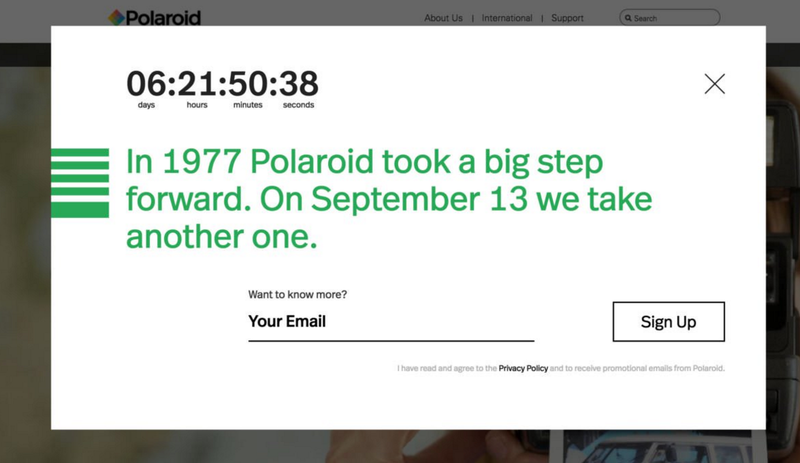 Polaroid is making film for instant cameras again, according to mysterious advertisement on its website. - finegrain. Home news noticias Polaroid is making film for instant cameras again, according to mysterious advertisement on its website. 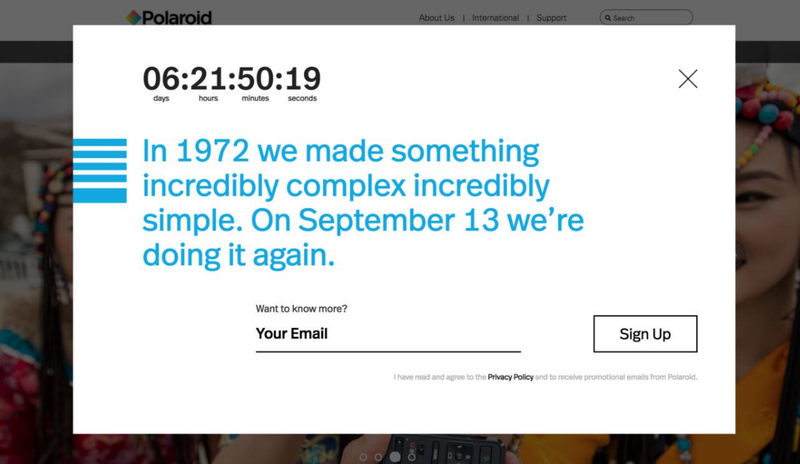 Polaroid is making film for instant cameras again, according to mysterious advertisement on its website. After Polaroid was acquired by The Impossible Project a few months ago, analog users prepared for more than possible changes. Well, apparently those changes are already here and could not be better. 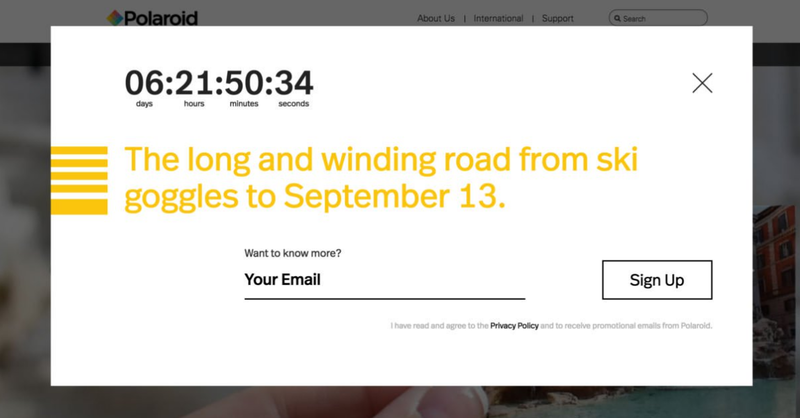 After The Impossible Project announced that it would close its website during the days of September 10-13 - now closed - to return with "something new", the official Polaroid website is also being prepared these days for an "Incredible event "that will also take place on the 13th. Although logic invites us to think that now that they are already the same company will be unified, they have wanted to go one step further and have launched a series of floating messages that only confirm this theory, to the point that can almost be confirmed: the instant film "will return home" and will again be sold under the Polaroid brand. Analog Dreams, September 13. 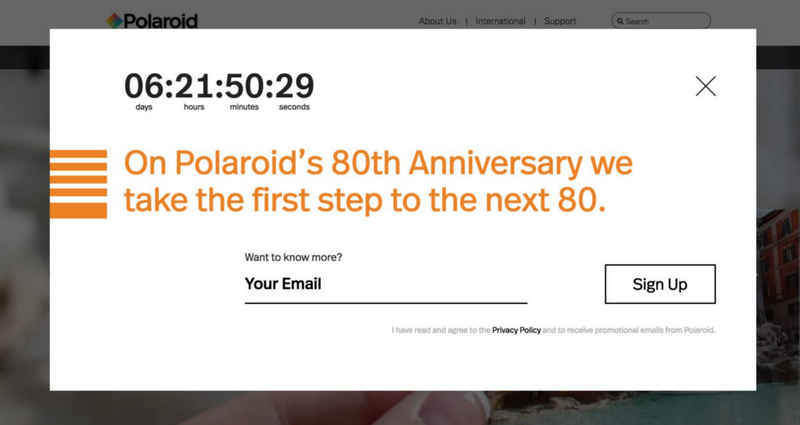 On the 80th anniversary of Polaroid, we will take the first step of the next 80. The long and stormy road from a ski goggles until 13 September. 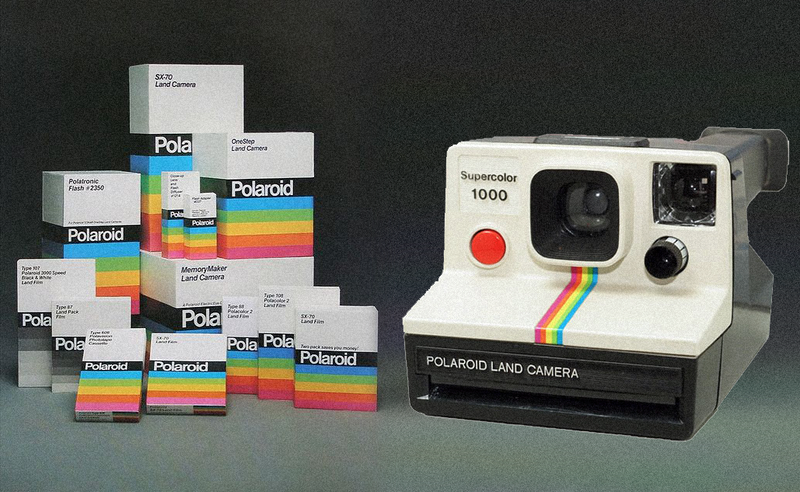 In 1977 Polaroid took a big step forward. On September 13, we will give another one. On September 13, the bet made by a girl of three years in 1943 will be settled again. Make a hole in your coolers. 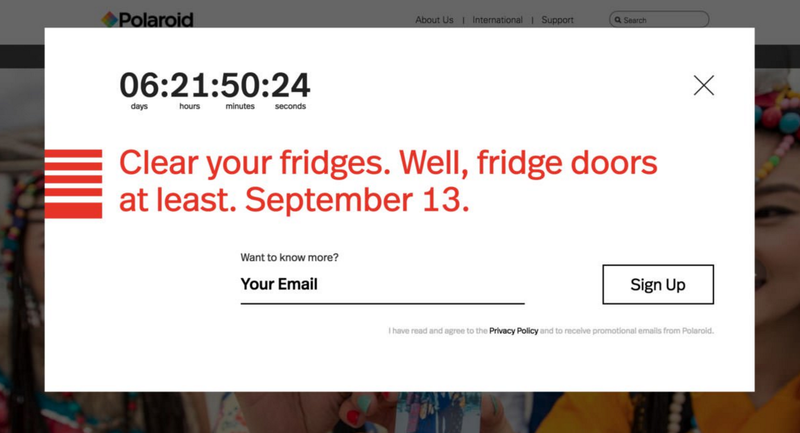 Well, at least, at the doors of your refrigerators. September 13th. SX-70, OS, 600, Spectra 8x10. Follow the sentence on September 13th. 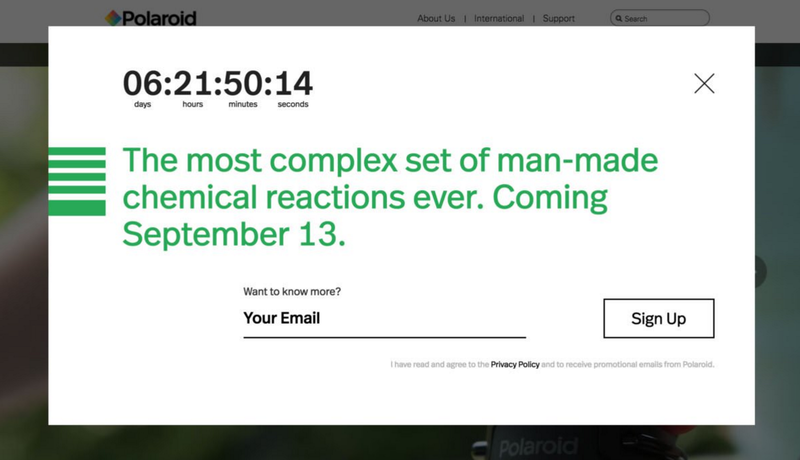 The most complex chemical mixture made by the hand of man, will arrive on 13 September. In 1972 we did something incredibly complex and incredibly simple. On September 13, we will do it again. Phrases such as "On September 13, the bet made by a three-year-old girl in 1943 will be settled again," leave little room for imagination: that bet was that of a girl telling her father - the creator of Polaroid - that why could not see the photo they had just made at the time, instead of waiting for the reveal. If they "will do it" on the 13th, it is that day that film returns. References to more mythical models such as the 600 or SX-70 seem to suggest that they may also re-manufacture mythical models of cameras. The bets are still open. A few months ago The Impossible Project stopped supplying even its official suppliers (the Impossible store in Barcelona has not had many of the brand's emulsions for months, without news, according to them, of when they would be replaced), the units of the special edition Keith Haring that sold out weeks ago in record time have not been replenished - despite the demands of these new units - and other emulsions such as Round in color have been a shortage of one year. Was Impossible leaving their warehouses empty to prepare for a new brand launch and, therefore, packaging? And you, what do you think this "new old" analogical revolution will mean? Will the prices of the cartridges fall, or do you think the opposite will happen? On the 13th we will know!